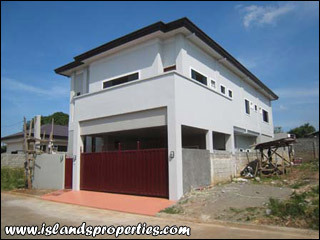 Residential House and Lot; Lot Area: 300 sq.m., Floor Area: 370 sq.m. Elegant house and spacious. Brand new with very strong structural foundation. All bedrooms had toilets and baths. All door jams were made from narra lumber. All stairs were made from yakal lumber. Chinese, Filipino, and other foriegners live in this area.